“Padmaavat” Starring Deepika Padukone, Ranveer Singh, Shahid Kapoor, Aditi Rao Hydari, Jim Sarbh; directed by Sanjay Leela Bhansali; music by Sanjay Leela Bhansali. This big budget period drama hardly needs any introduction as it’s been in the news for one issue after another since production started. This story of honor, valor and obsession, set in medieval times, is based on an epic Sufi poem by Malik Muhammad Jayasi. Shahid Kapoor plays Maharawal Ratan Singh of Chittor, a prosperous kingdom, and Deepika Padukone stars as his beautiful and intelligent wife Rani Padmavati. The reigning sultan, tyrant Allaudin Khilji, played by Ranveer Singh, is fixated with possessing anything that is of exceptional beauty. After hearing of Rani Padmavati’s beauty from one who has been banished from Chittor, he sets out to attack its fortress. Months later, he is forced to retreat back to Delhi empty handed. His obsession to capture Chittor and possess its Queen at any cost only grows. He invites Ratan Singh to be his guest and then holds him captive. Padmavati comes up with an elaborate rescue plan and succeeds. 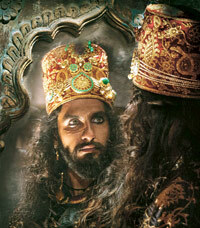 Eventually, Khilji returns with a bigger army and raging fury. He attacks Chittor with brutal force and a battle takes place with the righteous Ratan Singh defending his kingdom. Khilji manages to breach the fortress facing defeat in victory as Rani Padmavati and the women of Chittor have chosen the ultimate sacrifice to protect their honor and dignity. 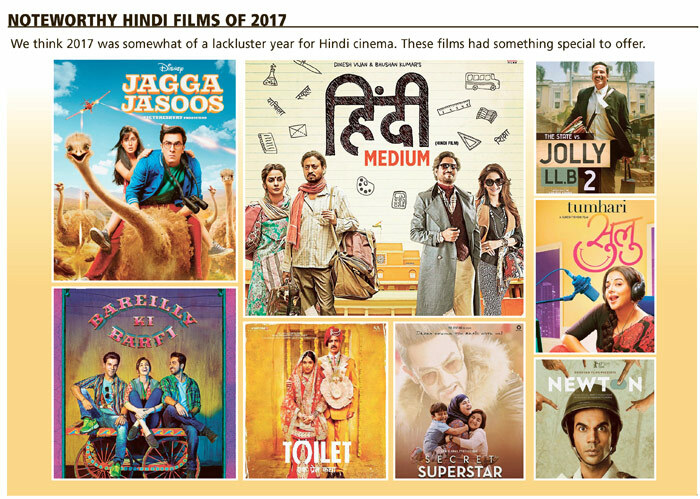 *I had a chance to see “Padmaavat” right before this issue went to press. A disclaimer at the start reminds viewers the film is based a work of fiction. Though certain events and characters may be historical, I found no basis for all the backlash it received. Rajput culture, honor and traditions have been presented with the utmost reverence. “Padmaavat” is an epic masterpiece not to be missed. Almost every scene is a visual delight of artistry. The sets, costumes and cinematography are stunning. Director Bhansali deserves every accolade that is sure to come his way. The performances are perfect, Deepika as Padmavati looks ethereal and radiates grace and strength. Shahid’s Ratan Singh commands an honorable regal quality throughout. Ranveer plays Khilji with a seemingly effortless unabashed abandon. You definitely want to enjoy this one on the big screen! “Hichki” Starring Rani Mukherji; directed by Siddharth Malhotra; music by Jasleen Royal. Rani Mukherji fans are surely excited for her return to the big screen after four years in this Yash Raj production. 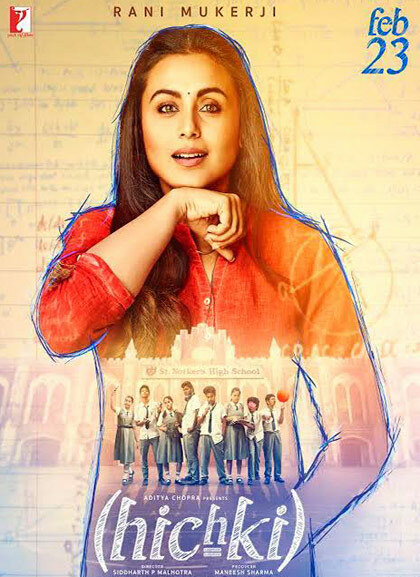 Hichki means hiccup, and the films tagline is, “What is life without a few hiccups.” Mukherji plays Naina Mathur, a character with the Tourette syndrome, a condition that forces an individual to make involuntary repetitive movements or sounds. Though her speech difficulty makes it challenging, she pursues her dreams of becoming a teacher and eventually lands a job at an elite school. Naina quickly discovers that the class she has been assigned to is made up of defiant students who are constantly in trouble. She must do whatever she can to ensure that these students realize their true potential. How she manages to turn challenges into an opportunity for an unruly bunch of unwanted students who are determined to bully her forms the plot. You’ll be rooting for the underdog here, which includes both the teacher and the students as they defy the odds against them. We’re sure Rani’s talent will make this a fun watch. 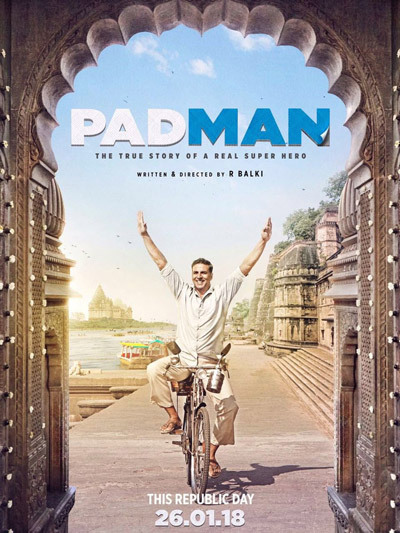 "Padman” Starring Akshay Kumar, Sonam Kapoor, Radhika Apte; directed by R. Balki; music by Amit Trivedi. This film is inspired by the true life story of Tamil Nadu-based social activist and entrepreneur Arunachalam Muruganantham, who invented a sanitary pad-making machine. His low cost sanitary pads revolutionized menstrual hygiene in rural India. Akshay Kumar plays the title role and Radhika Apte his wife. After learning that his wife has been saving old used rags to use during her period, Muruganantham is inspired to discover a clean cost-effective alternative. His wife and others are initially embarrassed by this undertaking. When he cannot find any volunteers to test his prototypes, he figures out a way to do that himself. His invention went on to win a national innovation award and Muruganantham was awarded the Padma Shri in 2016. Producer Twinkle Khanna first wrote about Muruganantham in one of the short stories in her book “The Legend of Lakshmi Prasad.” It was a fictionalized account; the film too takes creative liberties for entertainment.